Foot Sizing Survey Results; Contest! I got nearly 400 replies, providing meaningful data for foot lengths 8.5-11 inches, foot circumferences 8 to 11 inches. Disclaimer: although I received replies from all over the world, most of the data I received was from North American knitters. I received more data for women’s feet than men’s. There is inherent risk in getting respondents to take their own measurements: I have to trust that they measured in the right place. I don’t claim that this represents every foot in the world, and I don’t believe it should be taken as the final answer on foot size. What this represents is simple: 400 of your best knitter friends offering up measurements of their own feet to help you better understand how to choose a sock size and how to better design sock patterns. Note: when I mention foot circumference, I mean around the ball of the foot. I found some interesting results – some confirming what we felt we knew, as sock knitters, others rather surprising. -In the vast majority of cases, ankle circumference is the same as the foot circumference. The foot circumference is either the same or larger (never smaller), and if larger only by about 5%. -And there is a remarkable correlation between foot length & foot circumference: foot circumference, on average is about 95% of foot length. -Heel diagonal about 35% larger than foot circumference, 25% larger than gusset circumference. -The calf circumference question was an interesting one… lots of respondents questioned why I was asking this. In many cases, 6 inches up from the floor isn’t that far up the sock leg – certainly nowhere near full sock leg length. And this was the point of the question! A standard leg (if such a thing exists) does indeed get wider about 6 to 8 inches up from the top of the heel, where the calf muscles start to curve out – which is also the usual length of a sock leg. But the majority of calf-length sock patterns keep the sock circumference the same – that is, they are assuming that the sock leg doesn’t need any increases to fit comfortably below that calf curve. However, what I learned was that in nearly 50% of cases, there’s a significant increases in leg circumference just up from the ankle. – Calf circumference 6 inches up from the ground 12% larger on average but there was a huge variance in this – for some, up to twice to size. For 15% of respondents, it’s the same or smaller; 40% it’s 1-10% larger than ankle; for 30% it’s 10-20% larger; for 18% it’s even larger. This particular data point was known to me before I started the survey: in fact, it was why I started the survey. Looking at men’s and women’s shoe sizes individually, the difference between the largest and smallest common sizes (e.g. women’s size 5 to 11 and men’s size 6 to 12), there’s a 25% difference in both length and foot circumference. That is, a women’s size 11 shoe is over 20% larger in both width and length than a women’s size 5 shoe; and the same difference exists for men’s size 12 compared against men’s size 6. Although knit fabric does stretch, you can’t expect one size sock to fit that range of sizes with equal comfort, and to look equally good. 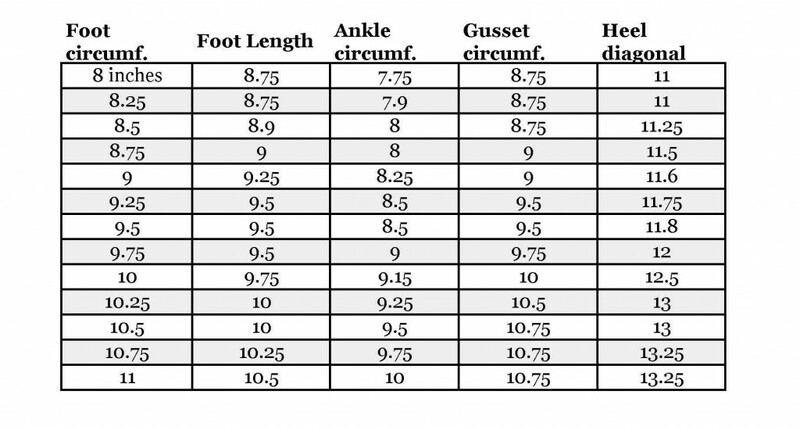 Rather remarkably, you can guess the rest of the foot measurements based on one: as long as you have foot length, ankle circumference or foot circumference you’re good. Foot circumference, ankle circumference = foot length * 1.05. I do recommend you look for sock patterns that come in multiple sizes, and choose the size carefully. Remember that a sock is best worn with about 10% negative ease. Your feet will be happier for it. It is safe to assume that foot circumference = ankle circumference. You can also use foot circumference as rough guide for foot length, as in the formulas above. Design with a gusset or expanded heel for better fit: If you’re adding a gusset, make it at least 10% larger; if you’re working without a gusset, ensure the heel provides 25%-35% extra circumference. Allow for larger calves; consider providing suggestions on how to size for larger legs. I have sliced it two ways: by foot length, reflecting how shoes are sized and how non-knitters tend to think of their feet, and by foot circumference, reflecting how knitters usually think of feet. The numbers are the average of the reported results. Note: I’m not making any statement here about shoe size, as it’s not an absolute or reliable measurement: I found that for any given shoe size, the reported foot length varied by on average 13%. There several reasons for this: shoe size varies depending on manufacturer (I wear a size 6 in some brands, a 6.5 in others, and a 7 in some others); those with wider feet will more often choose a larger shoe size due to its added width (since relatively few shoe brands provide wide sizes), and shoe size will vary wildly from style to style, and whether a shoe is worn with socks (and handknit vs. storebought socks at that). Just because you buy a size 8 shoe doesn’t mean that you have a size 8 foot! I hope this is useful to you! If you have thoughts, comments or additional questions, least let us know. Bet you wanna knit these…. As a reward for reading this far, we have a contest! We’re giving away a pack of 2 skeins of Zauberball to make the excellent and innovative Longitudinal Socks. (That’s enough yarn to make 1 pair of the largest size, or a couple of pairs of the smaller sizes!) Value of the prize is $42. Our usual contest rules apply: leave a comment on this post by midnight EST Wednesday July 18th to be eligible to win. If you’ve won a giveaway in the last year, please give other knitters a chance. Thanks to the Skacel Collection for the prize. Very interesting data – and timely as I’m making my first sock pattern! That is really awesome information! I guess it’s one of those things I never thought about but makes sense. Of course people have different sized and shaped feet! Fascinating survey! I have small feet but calves that don’t match so a lot of patterns don’t work for me. Interesting reading, think I need to read it again, slowly, with a large cup of tea! I’m adding those socks to my queue ASAP. They look gorgeous in that colorway. Thanks knitty! What handy (or is that foot-y?) data! Thanks for compiling it. That’s really interesting. My view on calf fit has always been that you would want there to be more negative ease at the calf than on the foot or ankle so that the socks stay up better. But my husband’s the sock wearer, not me! As a stats geek, this is utterly fascinating. Thanks for collecting all of this! Do you have mind control powers? ‘Cause now I do want to knit those! That is very interesting – thank you for gathering the information! I love all those numbers and data. That’s awesome!! And really interesting. And it would be awesome to win that yarn! Very useful data, and I love the longitudinal pattern. I love all those numbers and data. Thatâ€™s awesome!! And really interesting. I’m going to have to digest this info for a bit…and I’d love to knit some Zauberball whilst digesting! Thanks for the offer and the interesting info. Very Interesting. And I agree with more sizes. I have had to give away some of my favorite socks because they wind up too small for my fat feet. I should have sent my sizes in, (I found the reply drafted in a folder just now)…because I throw off your assumption. My foot is 9.25″ long, 7.75″ ball of foot circumference, 7.5″ arch of foot circumference, 8.5″ ankle circumference, 13.5″ heel diagonal and 14″ calf circumference. So my ankle is significantly larger around than my foot, I usually knit the smaller sized foot and the medium size for the leg and do some increasing/decreasing as I am knitting the heel. Very interesting. Keeping this page for future reference. thanks! Interesting. I haven’t measured my feet recently, but I do have large ones (size 11 women’s), so this will be good to keep in mind. Amazing! So the ball of my foot will never be smaller than my ankle. That makes sense. It would be difficult, if not impossible, to walk if it were the other way! This is brilliant! At last, some proper science being applied to socks. Thanks. I was just thinking the other day about this data and wondering what the results were. Thanks for this great research! Brilliant! Thanks for the excellent info. And the chance for some ZauberbÃ¤lle! Thank you Kate, this is a very cool post! Thanks for doing his research. It can be frustrating to find a great sock pattern and have it come in just the one size. I feel like I’m the odd one out for having bigger feet. This shows that isn’t the case. I hope designers take it to heart and offer multiple sizes more frequently! I love that you took the time to put all that together and I think the findings are fascinating. I’m also glad my feet aren’t as weird as I thought! Interesting read as I have been working on socks all summer. What an interesting survey. I’ve got long narrow feet and often tweak sock fit so they are tight enough around my midfoot. Thanks for compiling this! How interesting. The lack of sizing on sock patterns has been one of the reasons I stay away from them. The one I did try came out too big. Cool! The yarn, the data & the conclusions. Your survey data is very interesting. I took such measurements of all my family and have it in a file. I think I’ll add your tables, and I’ll be ready to make socks for anybody! Very interesting data….I’m going to keep this info in my “sock file”. Love seeing the data here! While I don’t absolutely need another pair of socks/sock yarn in the queue, I am shockingly low on rainbow yarn…love those socks! Thanks for such good information! Lots of fun data! Thanks for sharing. interesting results & why I never knit socks for anyone I can’t try them on as I knit! Great prize – I love zauberballs! So interesting! I need to put this info to use now! That is so interesting. Thank you for sharing your results. whee! this came out just in time. I have a new pair of basic toe up socks on the needles, and now I can play around with the numbers from your tables. Socks socks socks … and because I don’t have enough sock yarn. 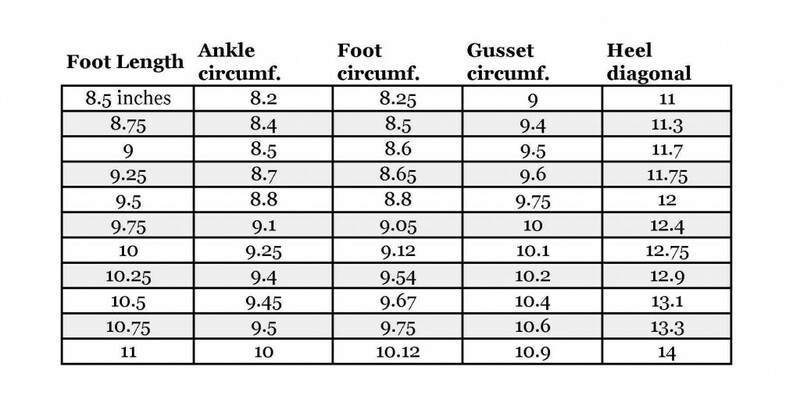 Very interesting data – I had no idea there would be correlation between ankle and foot circumference, or between foot length and circumference – clearly I’ve never even measured my own feet! Got so interested in reading the survey results I read all the way to the end and forgot completely about the contest mentioned in the headline. Enter me in it, though! Thanks for doing this. I’ve always thought of myself as a big-footed person. So, when I began knitting socks, I’d always go for the largest size. It took me several years, and many too-large socks, to realize that, while my foot is long, it is narrow. I’m now going for smaller sizes (sometimes even smaller than the pattern calls for), with an appropriately-long foot. I love it when knitting and stats collide! Thanks for doing all of this – makes knitting socks for others less daunting! I love the longitudinal socks. They look very cool. The foot chart is pretty handy, because it is way easier to get a friend to provide one measurement than the entire slew of measurements. 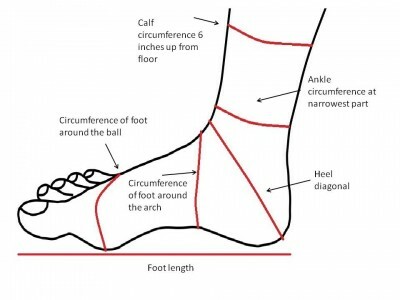 One question: When you refer to foot circumference is that the measurement around the ball of the foot or around the arch? It is unclear which measurement should be used for the chart. I’m glad you did the sock survey. I have been eyeing those socks for a while now. Thank you for the work you put into this. I wish I had remembered where I got the picture of the foot with the measurements needed – I measured about 20 people – mostly men (relatives!) but forgot where I was supposed to go to give the inforamtion for the survey! I want to win! I have those socks in my queue and if I won the yarn, I could make it right away! Thank you for working this out for us: super stuff. Interesting! On the (admittedly few) occasions when I’m gift-knitting socks and can’t take detailed measurements this will be really useful in helping me guess! What fun socks! I am learning a lot about sock sizing while I create socks for my husband’s size 13 (US Size) feet. According to the survey results I have really strange feet! Custom socks really help. Reading the survey results actually makes me want to knit socks again. I lost interest a couple of years ago. Maybe the rainbow socks will be my next project? Last Christmas I made socks for some of my family and tried to find this kind of information. This is the most clear and comprehensive description of the different sizes and how they relate to each other that I have seen. Thanks! Fascinating results, and love the look of those socks! Thanks so much for compiling all the data and making it easy to understand and read! I find this enormously reassuring – I can’t make socks for myself (EU size 42 feet) which are wide enough, so my partner has to model most socks I knit. I will have great fun now trying to work out how to scale the most loved patterns to get them to fit better. Interesting results. My first socks (knit 4 years ago? )were way too large. I kept measurements for a while, and then moved on to shawls and shawlettes with my sock yarn. This may inspire me to try socks again. Yeah for negative ease! I may be a bit too much of a data nerd, but I think this gives those who aren’t quite ready to size on the fly lots of info on getting their socks to fit. This is so great! I just keep making socks for myself cause I can measure myself any time but I think this math will help – even if it isn’t perfect! Thanks!! Great info, thank you! Time to get back into knitting socks, learn a new trick (extreme 2-in-1 is next on my list). Thanks for doing the foot survey! Very useful!! This is fantastic! So much of my recipients are not available for me to get accurate measurements. Now, as long as I have two data points (which shouldn’t be too hard) I can knit them well-fitting socks. Thank you! That was very interesting. I’m not exactly sure how I would/could apply/translate the information into a knitted sock, but interesting nonetheless. Thanks much for the giveaway. Those are really cute socks in great colors. Thank you for gathering the data and putting it all together in a simple chart for us. This is one page I will definitely keep in my project notebook for long times to come! What interesting information regarding feet…thanks for the giveaway. Thank you for the survey results. This will make it so much easier to knit socks for others that will fit. Sock knitting is so much fun and sharing well-fitting results feels good. And of course I have been looking at the Longitudinal socks so winning the kit will get me started on those. That was a really interesting article and I love knitting interesting sock constructions, so I love that you’ve got a competition to go with it all. Thanks! I’ve been learning socks all summer- 2 pairs done, 1 on the needles now. This info will get knitted in! Thanks! Great article!! I have a small, wide foot with a high arch. I have yet to find any socks that fit me comfortably and I have not tried knitting a pair. This article gives me a lot more confidence that the socks I knit will turn out great!! ps … I’d *love* to win the Skacel yarn for the longitudinal sock pattern!! Thanks!! What a good idea, thanks for all the work! That is really interesting work you did! I want to email the results to a sock pattern designer. She already sizes her patterns but I bet she would find it helpful. Great information! Thanks for all your hard work. Thank you for the sock sizing data! Incredibly useful data here, especially when knitting socks for others! I’m also really taken by those awesome socks in the picture – I’ve never used Zauberball before but those colours look awesome, definitely the sort of over-the-top sock I tend to go for! and thanks for hosting this giveaway! Oh, how I cherish this data. Thank you for gathering it!!! This is one of the best/most useful blog posts EVER! Thank you! I have a sock design and this is very interesting info! Thanks! Wow, that is so useful. Thanks for this info, it will come in handy when I maek the next pair of socks for someone whose feet are not handy to measure. Thanks also to the Skacel Collection for the chance to win their yarn. So interesting! Thanks for doing the leg work (ha ha, I am hilarious). Excellent data! This should come in handy for gift-sock knitting. Thanks for the info. It really will help when I knit socks and foots. The longitudinal socks are really interesting. Love em. What a lot of data analysis to have taken on in the name of better socks! What great data and analysis. Really nice to have a reference to go to. Thanks!! Thanks for all the hard work. I’m going to have to bookmark this page! And another great giveaway! I love the look of Zauberball! This was very interesting to me. What a lot of work. Kudos to those people who took the time to measure their feet and send in their measurements. Wow! That’s a lot of information and facts to digest. I hope that this will be increasingly useful to me as I wander deeper into the wonderfull addicting world of socks, especially designing my own since my gauge never ever ever seems to match pattern specifics! I would love a chance to make those socks! Thanks so much for the great give-away. I’ve had my eye on those socks since the moment I saw them! well, now that i know all this info, i would love a chance to win yarn for socks! 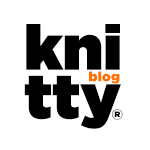 thanks to the knitty team and the knitty blog, and all the great sponsors for the chance for readers to win awesome prizes! I’ve never tried to do socks before, so this would give me the kick I need to do it! They’re such fun socks! Interesting information! I wonder how odd my coworkers would find it if I started measuring my feet… Nah, I’ve only got a regular 12″ ruler here, got to wait until I get home. Yes, please. That looks like the kind of socks I could knit. Super useful info. And I’ve been drooling over those socks and that yarn since I first saw them. As I suspected, my personal measurements are a bit unusual. My foot length and circumference match up fairly close to standard, but my ankle is much thinner and my gusset length is longer (I’ve always known I have skinny ankles and a high instep). Thanks for the chart. Assuming more designers follow it, it will be much simpler for me to figure out what adjustments I need to make for a proper fit. Nice analysis. I always have at least one pair of socks on the needles. I’m addicted to toe-up with gusset heels. I get my best fit that way. I’d love to win! Thos socks look fantastic. Great article! Hope I win the prize! I love all the foot size data! I like my socks long (tall?) and I usually do add increases to the leg portion to make them fit better. Ooh! Sock yarn is my weakness! Oh oh oh – nothing more fun to knit than unusual socks! And big thanks for the sock statistics; really helpful stuff. This is AMAZING and it was a great way for me to gather data on the foot size of almost everyone in my family. Now I can make sneaky socks! Super useful information! I truly love all of the data presented here as a scientist. It will come in handy as I start my foray into socks this summer. Thank you SO much for the information! I’m preparing to cast on my first pair of socks and the more educated, the better. I appreciate the time and energy that surely went into such an exhaustive survey. Wow, this is such interesting (and useful!) information! I’d love to be entered in the contest, as well. Great information! And I’ve been wanting to knit these socks, so this would give me the perfect excuse. I feel compelled to measure my feet/ankles/calves to see how I fit into the data now! I usually keep my socks a little short just to avoid the whole calf expansion issue. this is so incredibly usefulâ€”god bless knitty (and you)! I knit socks all the time………this was great, because I’m knitting socks for other people besides family now. Thanks!! This is a very useful post! I’m printing it out to put in my knitting notebook. I would love to win the yarn to make these socks — they are v. cool! Thanks for the extensive data and the interpretations of the survey. I liked hearing that what I’ve typically thought of as my “calf problem” is not so unusual. Thanks also for hosting a great giveaway– there can never be too much sock yarn in the stash. Fantastic information! If I were to ever get into designing, I would probably start with socks. This is such valuable information. Very interesting information! Thanks for researching all of that! Love the giveaway…thanks for the chance to win! Awesome data, and really interesting charts. The longatudinal socks are way cool, just like Zauberball! It’s really nice to finally see the data. I’m off to go measure my feet now; hopefully it’ll result in less trial-and-error when I’m working on a new sock pattern! Great information! Thanks for compiling it! This is really very interesting to know. Thanks for doing this research! thank you for taking on this project! my daughters and I have very different feet from each other, and as they are tall and I’m not, I’ve had multiple pages of measurements for them over the years. I’ll start using this info now! Thanks for compiling this information. It will be really helpful to so many sock designers. Excellent math! Bane of my existence. 🙂 Thanks for doing all that research for us. thanks for the information! As a sock knitter I’m always on the look for what I can do to make my socks better! Thanks for the contest too! Y’all rock! Thanks for putting that info together! Oh I wish I’d known about this survey when she was conducting it! As a size 5.5 women’s, I’ve found it near impossible to knit socks that fit me the way they should! WOW!! Thanks for all the time and work spent on this. oh, i’ve been meaning to make those socks forever! Fascinating! I think this is eminently useful not only for designers and those knitting for themselves, but for those sock gift knitters out there. I’ve never knitted socks as gifts because I thought I’d need all kind of intrusive sizing info from the recipient. Turns out with foot length alone I can be reasonably assured of making great fitting socks for anyone! Bookmarked this page! Thanks for all your hard work! This post was very interesting. this is so great. always so hard to properly size socks to a foot other than mine! Fascinating! Thanks for the info. Wow! Very interesting…Thanks for putting it all together for me in a way I can understand. One question… in the section that is titled ‘What this means for sock designers’ third bullet down, should that figure read 25%-35% instead of 205%? Thanks for all the hard work. I will save this information and use it often I’m sure. Love the Longitudinal Socks. Wow, that was very informational, thanks for compiling and explaining that data. Wow! This is very interesting & helpfull. Especially since I have decided to make socks for Chistmas gifts this year. 10 pairs, toddler to adult. What a great study! Thank you for doing the work for us! This is very interesting to me because I just knitted a pair of socks for a friend that didn’t fit well despite measuring. I am going to have to compare this info with my measurements to see if I can make a better fitting sock! Thanks for the info. I’m lucky in that I have fairly normal-sized feet and most socks I’ve knit for myself fit well. I’ve figured out how to alter a pattern for my Mom’s dainty size 5 feet. Knitting for the person with larger calves is a problem for me though, and I’d love to see a pattern that takes that into consideration. Wow, what a great collection of information! Great post! Comes just in time – starting my first pair of socks this week! Thanks! What a great pattern! LOVE those Longitudinal socks, and now there’s even more info about how to get a great fit! Wow, that’s really informative. Interesting to see all of this information in one place. When I design socks, I usually just use my own foot as a standard and try to make the sock in enough sizes down and up to accommodate most. This data could help me come up with a new standard. This makes things so much easier! Thanks for doing all this work. I have been facinated by these since they were published! Sign me up, please! Thank you for gathering this data. It really helps me as I think through sizing for socks I design. I remember answering this survey! This is completely awesome! Thanks for sharing. Neat. I have a hard time making socks that fit my husband’s size 12 feet, so hopefully this will help. What a great resource. Thanks for doing all this research to help knitters make better socks! Fascinating! Thanks for this valuable info. As a knitter who has never made a sock that fits, I can honestly say that this information will certainly come in handy. Thanks for compiling this great data! Thanks for this well written and very helpful article. Would love to knit a pair of these socks especially with Skacel yarn. Thank you SO MUCH for the sock sizing; I always have a pair on the needles, and this is going to be a BIG help!! Thank you again!! Well, that’s some cool math! I had suspected as much! Now to get results for men and for women from other cultures. Fascinating info. Glad the data I sent in was of assistance. Great post, Kate! I’ve long refused to buy books or patterns where the socks only come in one size. If I’m not designing my own and am paying for a pattern, why should I have to rewrite it. Thanks for making your recommendations to designers! Thanks for this great data! I have knitted hundreds (perhaps thousands) of pairs of socks and have re-vamped my sizing process many times. This is the most useful info I have seen anywhere. I don’t even remember if I sent you the data on my own size 10s! I really appreciate the time and effort involved in your compiling and interpreting your results. Very informative article and something I struggled with recently. My dad has very short, very wide feet. My first try at socks from a distance were too small, since they wouldn’t go over his ankle. The second attempt were bigger and I made sure to choose a pattern with a lot of stretch. I think your chart can help take a lot of the guessing out of socks at a distance! Fascinating and informative. Thanks for your hard work. This is great information – as someone on the larger end of sock sizes this will really help me adjust what I need to do to knit myself a pair of socks! Thanks got the giveaway! I so appreciate that you put this together. The first socks I ever made were too small so I tend to make them too big and I think this chart and the info will help me make them the right size. Thank you. Very useful information! Going to measure my own feet to see if I fit in. This explains why I always need to modify sock patterns. I am a beginning sock knitter and this info will be helpful when I don’t have the ability to measure the actual foot other than the length. I’ve always been frustrated by the fact that the socks I knit end up too big even when I knit with 0s or 1s. And I don’t even have particularly small feet. I think I’d better start measuring and customizing. I will definitely keeps this as a reference for my sock making! Wow. Great article and research. Love that yarn too! Very informative. Thank you! I love sock knitting. This is easily one of the most interesting knitting articles I’ve read recently. I will definitely be consulting your chart next time I try socks! This is such useful info! I’m about to embark on my first pair of socks, but want to be able to make them for my husband as well. As he has larger feet than average, I’ve been worried about correct fit. Now I won’t have to! Great info, thanks. I always modify my socks for a good fit. I’m printing this now and putting it in my reference binder! Thanks for the data, it will be very helpful. Too bad getting someone’s shoe size is not enough for a perfect fit. Awesome analysis and chart! I can definitely use this, particularly the ankle info. Wow…such pretty yarn! Loved the info on the sock measurements – very informative. This is all so interesting! My next few projects are socks–and I’m starting with Longitudinal. I think it looks so great (especially in that Frische Fische!). What a great analysis of feet! Good information to know. Now to check how my own feet measure up. I want to make those socks! Great info and I’ve been wanting to try that intriguing pattern. Some new sock yarn to use for it would be just the motivator I need to move this up in my queue! I would love to see more sock patterns that come in various sizes, not just with instructions to move up a needle size to get a larger sock. As someone with large feet, it makes me very sad to find a lovely sock pattern only to see that it’s sized for someone with much smaller feet than me. Good analysis not sure I would have gone to those lengths but glad you did. Wonderful article. Extremely helpful data. And amazing yarn I would love to try. This information always seemed to elude me when I would make up socks for someone I couldn’t get measurements on….Thanks for all the investigation and hard work, definitely helps put things in to a perspective that I can understand and easily use and store for future use! Great info! Nice to see the fruit of this survey. Great post, thanks for updating last year’s survey call and all the great info. I’d love to make my first use of this info by making socks from this yarn. Thanks for the opp;ortunity to win! I’ve seen that sock pattern on Ravelry and would love to knit it! Also thanks for all the hard work you put in and all the great info you’re passing along. Awesome information. That is really helpful! I’ve acquired sufficient skills (read “confidence” :- ) to knit socks. One of my concerns is the generic One Size Fits All pattern – that after the investment of time and yarn, I’ll discover I really can’t wear My creation after all. So your info is much appreciated, and may help me understand more about sock anatomy and measurements. Many thanks! Ooo pretty pretty sock yarn! If you’d asked me a few years ago if I’d be excited about foot measurements I’d have laughed sooo hard! This is great info and will really come in handy. Thanks! Brilliant research! I have small feet and always have problems making socks for big footed family and friends. Thank you!! Thanks for all that info – very interesting & useful! Fantastic information! As someone new to sock knitting (I don’t know what I was waiting for) this information will make it so much easier to knit socks as gifts. Thank you Kate! This is great! I especially like the 10% negative ease tip. Thank you. Having very wide feet (sz10) is one reason I’ve yet to knit socks. Always assumed that figuring out calculations to adjust for size would be to hard. Also let the bias against large sizes stop me. This is really helpful information. I printed it and added it to my library. Love the contest! That pattern is awesome! Thanks! I was one of the 400 individuals who submitted my foot size… I also made my best friend measure her feet also. Thank you so much for all of your research and for sharing it so readily. I have added stitches to the legs of my toe-up socks from the second pair I’ve made because of my calves. For the first pair, I didn’t know yet. I add stitches to the pairs I knit for everyone around me. I am glad to see the results of the survey, thank you for publishing them! Great info. Thank you for sharing it. Thanks for the great info! Now if knitting season would just get here…. I loved the pattern when I saw it! Excellent data, its great to have ranges for sock size. It’s also nice to know your own feet are wthin normal range! Thanks for the info, it will make the calculations for my kids’ feet easier. The longitudinal socks look great. Thank you! I have been struggling with wher to measure to size my ever failing sock knitting…now I know! I’ve only just learned to knit socks, so I’m not sure how immediately useful this is going to be, but I can see how it will be really handy at some point in the future. Thanks! That’s a lot of foot facts! Thanks for doing all the work. Thanks for making socks easier to make!! This will be in my “knitting knotebook” for ever!! Thank You, Thank You, Thank You! I’m a sock knitter and have had to guess more often than not. Wonderful information. Been wanting to try that pattern and the yarn. Thanks for the info in this article. Vertically striped socks in Zauberball – what could be more fun? I try not to knit socks and drive the car at the same time. Someone needs to invent Bluetooth for knitters. Thank you for the wonderful sock resource! How nice it is to have this information in one easy-to-find location. Thanks ever so much. Great to have this data! Thanks! That’s fabulous information! I was just measuring my mom’s foot the other day–my first socks for someone other than me! Fascinating research, thanks for taking the time! I’d love to be in the drawing. I am thankful for this collection of “foot data”! I have always had problems w/purchasing socks, and was anxious to start knitting my own. Thanks for the info & for the fabulous giveaway. What a great collection of data points. Very useful. This is so interesting. I’m a high archer and it took about 4 pairs before I figured out which type of heel to use on my socks. Thank you – here are the missing factors in my sock knitting math! Interesting. Now I need to go measure and see how I compare to the results! Aa a sock designer, this is great information. Thanks for compiling it. Hmm, my gusset and diagonal measurements are a little off, but otherwise I seem to have an average foot! Also, those socks look like a blast! I just started knitting socks and the information you have compiled will be very helpful. I would be curious to see historical comparisons. Great survey – really helpful. I love knitting socks and have bookmarked the post for future reference! As an ‘owner’ of a high arch – and an exception to your rule of ankle vs. foot, I think this kind of discussion is well worth the time. I’ve been adapting sock patterns for a long time. I also plan to bookmark this site. Thank you for confirming my intuitive sense that always has me making heel gussets bigger, or adding more stitches for ease. When I first started knitting socks and followed patterns like a recipe that very often ended up being a tight spot. Last month our sock knitting group (Tallahassee Sock Knitters) got into a heated discussion about measuring feet for socks. So many feet on the table! I expected the restaurant manager to appar at any moment to cite some local ordinance. We are a new group and several members are fairly new to sock knitting. Kate’s research and data mining report is a much appreciated gift to us all. Thank you! Fascinating data â€” evidently, one size does not fit all. Thanks! interesting, for sure! thanks for the info. This means the end of ill fitting socks! I always love to read results and contribute to the betterment of patterns and socks! Thank you! This is great – I’ve been avoiding making socks because of extreme sizing confusion. Thanks for the help! Wow! This article should be referenced in oh so many sock patterns. Thanks for all that foot sizing information. Those socks look awesome! This is great stuff. I love to make socks and the sizing is always tricky when they’re not for me. This is excellent information, thanks so much for sharing! Thanks for your hard work in doing the research for socks! I would of course love a little bit of yarn to explore the new light you’ve shone on foot size! It’s nice to have more information on sizing socks. Thank you. So interesting! This so helps me understand why I struggle to like wearing handknit socks (they never seem to fit right) and my husband loves how his fit. This is fascinating. I think I meant to participate in the survey and didn’t get around to it, but thanks for sharing! That’s fantastic information to have! Thanks for collecting and compiling it. I love this! I often fudge the numbers when it comes to sock knitting – now I might actually be able to knit well-fitting socks! That is great info! I know personally I’m always disappointed when I find a sock pattern I like and it is either one size or the “large” size is what most socks one-size patterns are. I have large feet, wish I could find patterns to fit them. Wow, what a comprehensive post! Thanks for compiling all that data. Squee! I love these socks! Not to mention I think the sock survey is really great. My arch measurement is huge though, if I am measuring correctly, 11 inches. My ball of foot circumference is 8.25 inches. Thank you for writing this! Thanks for gathering this very useful information! Good info on the socks! I had issues trying to make socks for my husband- so maybe this will help. Thanks! I’m so glad you did this. Women’s socks do not fit all women. Yay! Hopefully this will result in designers making more sizes of socks for those of us with unusual feet. Thanks a lot for the great information. I wear size 10 shoes and my feet run wide, so I always need to check the patterns to see what size “one size” is. I definitely agree about needing sock patterns that give instructions for making the top of the cuff wider to fit heftier legs. Excellent information! Thanks for compiling it and thank you for having this give away. Generous give-away! Thank you….hope to win! Interesting indeed. I am a costume maker and measurements are my bread and butter. I was saying to students the other day how when you measure people you realize how the body can be put together in an infinite variety of ways. I have only knit one pair of socks and it was from a general sock pattern, didn’t love the way it fit so maybe I will be on the look out for a pattern with better fit. As a sock designer I am bookmarking this entry! Thank you! very interesting and an interesting prize to go with it. Thank you for collecting all this data on feet. Thank you so much for this info! I think it will help a lot in making sure socks fit those we might not live close to when making them socks. I agree to the comment of Women’s Socks not fitting women – I have a size 10 Â½ to 11 women’s narrow foot, so very hard to find socks that fit! And I would love to win this as well! Well THAT explains it. Everyone in my family have long feet. I didn’t realize that the circumference was going to have to change as well. Say goodbye to socks that are long enough, but still uncomfortably tight. I loved reading about these results. Interesting. I am always worried when I knit gift socks for a person that can’t try them on. I’m definitely starring this post to help inspire me when I get to the point of doing a ton of sock knitting for christmas. Right now there is a pile of lonely socks waiting for mates to join them! Psst… pick me pick me! That’s an awesome prize! Good info to know when knitting socks for yourself or others. This is really useful and timely as I am about to start knitting socks for my large footed daughter. Thanks for all the helpful info. The yarn looks like yarn for happy feet. Love to knit socks. Love even more to wear “hand knit” socks. Family members always hope I get their name in the Christmas gift exchange! I’m just getting into sock knitting, but I’ve already had to change patterns around for my narrow feet (10″ long, 8″ at the ball, 8.5″ at the ankle). Also, that yarn is amazingly gorgeous. I am so glad you compiled this information. Nice piece of work on the survey! Sadly, my husband and I are still outside the norm – my ankle circumference is about 10% larger than my foot circumference, and his is about 10% smaller. Wow, fascinating numbers regarding foot, ankles, and legs and their relationship to each other. This will be very useful! one step ahead of you all? Just made my first pair of socks and thought the calf part should be larger? So I incr 2 stchs about 6″ up, did 4 rows and incr 2 more stchs, 4 rows, incr 2 and then finished the sock to above calf length. I like a longer sock. Oh yeah, incrs were at the back of the calf. I have been wanting to make those socks, but I don’t have the right yarn in my stash. I love how math-y knitting is! Thanks for all the info. It gives me a lot more confidence to knit socks for others! This was really interesting. I’ve only recently begun to knit socks but already the knitting half of my brain (which takes up a great deal of space) is already whirling…. I love the crazy zauberball yarn. It would be too fun! Thanks for the chance to win. Interesting data, I’ll definitely have to hang onto it – it’s much easier to make surprise socks if I only have to take one measurement without anyone noticing. thanks for doing the ‘foot-work’ Kate. anything to get a better fit. and what awesome looking socks for the giveaway! I love it – it’s like EPS for the feet! Please count me in. Fabulous work- thank you so much for sharing it!! What a neat data set. Thanks for crunching the numbers and posting it! I’ve been thinking about designing a pair of socks and this will be super helpful!! Thanks for doing all the work – my next pair of socks might actually fit! What a great set of data and advice. Thanks a ton!!!! Thank you so much for this information! I really want to make my brother-in-law a pair of nice-fitting socks, but he has such big feet that I’ve been scared to. Now, I’m going to have my sister take measurements and dive in! I wish I had read this earlier when taking measurements for a giant’s foot! Thanks for the fantastic information. Thank you for compiling and presenting this info! Thanks for doing all the math – what a great resource! I plan on copying & laminating the charts to carry in my knitting bag. Ok, so I haven’t had coffee this morning, so getting my head around all the numbers is a bit of a stretch, but this is GREAT information! I’m definitely keeping this for reference – thank you so much! Those socks would go just great with my new wood floors!! LOVE the colors! Best ever info on foot size, BTW…. Wow, really interesting! My foot is 8.5″ so I’m at the low end of the useful results, but this is great nonetheless. And, as always, thanks for the giveaway chance. Definitely helpful information. Whenever I gift a pair of socks, I use the recipients measurements. These will come in handy! Wonderful information! Thank you so much. I’ll need to read it about 3 more times for it to sink in, but thanks so much for doing all that research. Sock knitters of the world, rejoice! Wow, such useful information and a chance at that wonderful yarn, might finally induce me to tackle my first pair of socks! This makes it much easier to be sneaky when plotting gift socks! Wow! That is impressive. I found the coorrelations between measurements quite fascinating. This little chart is a great reference, thanks! I love data thank you! I’m so going to use this to make the perfect pair of sock for me…uh…I mean, someone who deserves a perfect pair of socks. Enter me in contest, love the colors!!! This is a lot of helpful information, thank you for all the work you did on it. This is going to help a lot with Christmas sock knitting. I’d love to win so I can knit socks for myself. But perhaps “The foot circumference is either the same or larger (never smaller)” isn’t quite universal–my ankle circumference is 1/2″ bigger than my foot circumference. I had no idea I was such an oddity! I just LOVE a geeky knitter! Thanks for the excellent research. Brilliant information! Thank you for compiling and sharing it, Kate. And the contest? Great, since I have been drooling over those socks since I saw them when the issue released! What a blessing to the sock knitting community. I’ll be keeping this info forever and I’ve already figured out several changes I need to make when knitting the next pair for my DH…the one with very high arches and very wide at the ball of the foot. Thanks for all your work compiling and writing up the info. What interesting and helpful information. The yarn is beautiful! I didn’t know that socks were so complicated, but I’ve only really ever made them for myself. Makes them easy to try on as I go! this is very cool, especially since my feet are averaged into those numbers! I love looking at sizing charts… very fascinating! Thank you for the contest. How great for gift knitting! â€¢ And there is a remarkable correlation between foot length & foot circumference â€“ foot circumference on average is about 95% of foot length. It should be foot cir. = foot lenght *.95 I think. This will be soo helpful. I am making socks for family members for Christmas! Thank you for compiling this information. This is very helpful! Oh wow – I absolutely LOVE the data!! Its pretty cool how proportional our feet really are! Fabulous analysis and reporting. Thanks! And please sign me up for the contest…. That data gathering and analysis is brilliant! Already bookmarked. Yes my daughter and I are one of those large calf muscle people (and we both love long socks which means lots of mods ususally). What a wonderful collection of useful data! Congratulations on undertaking and then communicating such a useful survey. Thanks so much, I just found the original survey post today and was checking to see if there was a follow-up and here it is, talk about good timing! Fantastic yarn, fun socks! Sign me up! I need to print this out and study it! I think it’s going to be invaluabel but after a very long day it’s too much for me! Thank you for all the work! 1. I agree, sock patterns should be sized! I’m reknitting a sock after having dropped two needle sizes and still coming out too big. I had to reduce the stitch count to make it fit. One sock does not fit all, either feetwise or knitting-wise. 2. Cat Bordhi has been doing incredible work in this area and has come up with methods of making socks that fit any foot any time. Once you get past the complexity of the explanations and try it, it’s amazing how beautifully they fit. (The pattern referenced in #1 was a stock sock pattern, not one of Cat’s). I’m gonna say that not having all this great information is why I have not enjoyed making socks. Yea, that’s it! i’ve never made a pair of socks before, but this info will definitely come in handy when i get that far (and the yarn, too!). I find this very interesting and really is sad that there isn’t much data about men’s feet. I’m late to this but I would have submitted data for my 3 brothers who all wear shoes sizes 12 – 14. That’s a heck of a lot of sock knitting and I only done for all 3 once. DB2 is getting his second pair because he liked the first so much. Not that I’m not interested in another chance at winning something cool, but still curious as to who won the last giveaway? thanks for the info about food measurements! I’ve always wanted to try that yarn. Thanks for the rad measurement data. Cool information and cool prize! Thanks for posting these foot stats. I have been thinking about socks and fit a lot lately, possibly because I have been reading Clara Parkes and Cat Bhordi. I would love to knit these unusual socks! I have made alterations to sock patterns since my first sock. And I still always fit them as I go as different yarns may require tqeaking of what I know works for my feet. However like a couple other commenters I don’t quite fit in with some of your measurements… my ankle is a full inch inch larger than my foot circumference (I always decrease a few extra stitches in the gusset to allow for the narrower foot). But then, that’s why you should always measure! As you said, feet are not the same size from person to person. I don’t understand the ratio between foot length and circumference in the two charts though… … one has the length consistently longer than the circ, the other has the ratio switch halfway through. That shouldn’t be, should it? I LOVE those socks! Please oh please, pick me! I’ve saved that information, could be very handy! Great post. I’ll be saving it for future reference. Do think that these “rules” apply for children’s feet as well? Thanks for taking care of the math, I knit for a wide range of foot sizes, from my oldest son’s 13EEEEEE feet to my nephews toddler sized tootsies. It’s nice to have the info all in one place. Great info and a cool prize. Thanks! Interesting research and a great prize! I have all the measurements of the familys feet as I have the yearly sock marathon coming up, and I hope I’m not casting off on Christmas Eve night this year! This is stunningly helpful data.. I have really wide feet and always knew I couldn’t use them as a guide. Now I know what I can use. What fun socks those would be! I just started a pair of toe up socks. This will help me choose the perfect size! Very cool information! I missed the original survey, but am grateful that you’re sharing now! Those are such cool socks! Would love to make myself a pair. Ooh those are fun socks! I always feel like an anomaly when it comes to sock size. I have very squat feet: they are as wide as my husband’s, but shorter by 3 inches! very interesting socks – maybe i’ll get lucky! Interesting. I’ve filed it away for future reference. I don’t quite understand which measure on the diagram is the gusset circumference or how it relates, say to the length of the heel flap. Once I understand that, I think I’ll be able to tailor socks to feet. Thanks for collecting all those data. I wonder if the proportions are also accurate for babies and children? Wow! Way more than I ever thought I needed to know…but glad for the info! Here’s my comment (and, yes, I did send data earlier) … Please enter me in the contest. Thanks for the giveaway! I’ve knit and crocheted socks for myself, but I’d love to try knitting for other people. Maybe with this data I’ll have the courage to try! Thanks. Very cool. I knit socks but making them fit right always makes me nervous. What interesting data! And rainbows at the end make it all the better! I haven’t ventured into socks yet, but those look like a great place to atart! That is so interesting! Thanks for the info! WooHoo!!! I am a sock knitter for sure and all this data makes me want to cast-on another pair! Interesting, but, for me, fairly, ummm, useless. That is a harsh word, and I don’t mean it as such, but I have feet off the bell curve. In US sizing, that’s an 11 AA foot. It used to be a 10 AAAA, before my daughter was born. Neither size was fun to shop for. Nordstrom’s is the only place I can find my size. By your formula, L = 0.95C, my foot length should be about 8″ to 8.25″, or 20.4cm to 21.1 cm. I call my feet “pencil feet”, long & skinny. Oh, well. So it goes! This information will be very helpful for people who do charity sock knitting. Thank you. Bookmarking this for future reference–great info! Regarding the 10% negative ease, are the finished measurements for Longitudinal the measurements of the sock or the foot they will fit (should I pick the size closest to my feet or a size down)? Thanks! Great use of social networking. K itty is the start of lots of good things. Love Zauberball AND love socks! What a handy table…I plan to print this post and keep it with my sock patterns! 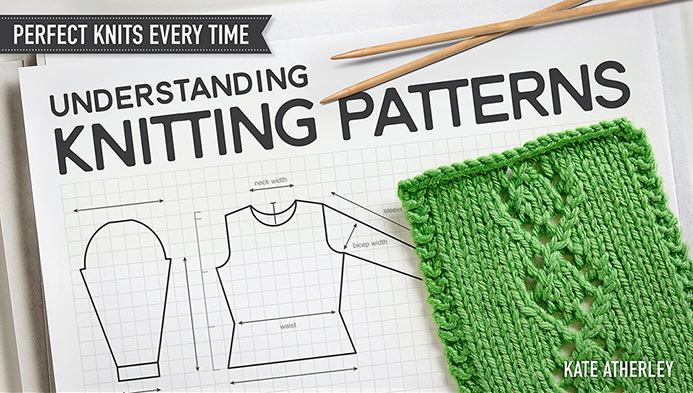 Interesting study that hits two of my sweet spots – knitting and data geekery! And I *lurve* Zauberballs! Thanks for the very interesting read. This will come in handy one day, I’m sure. Thanks for all that foot data! Gotta love the excellent combination of statistics and knitting! What a fascinating post.. and great information. I remember sending you info months ago, its great to see it all pulled together like this! Wow. What an impressive bit of research into feet. Thanks for the in depth review of the survey results. I’m going to add it to my technical references, with your caveats included, of course. I love the sock size article, it’s great info for those of us who love to knit socks! thank you for all the information, its’ very helpful. I love Zauberball and this article is very helpful! It’s almost my birthday, winning would be such an exciting present! Love that pattern, and the yarn. I love Zauberball yarn, and those socks are so cool! Ooh, I would love to try these! thanks for this info, Kate. Those are really interesting results! I look forward to seeing if future sock designs will incorporate your recommendations. Would love to win; socks look awesome. I’d love to try those socks! I’ve been wanting to try this yarn for awhile now! Fun pattern great colours! Thanks so much for doing the survey and having the giveaway! That’s amazing…and explains a lot! Love the longitudinal socks! Interesting results, but I think the correspondence between foot length and foot circumference will probably be most exact with people who wear an “average” shoe width (for men in the US system, it is a D). It might be useful for someone to repeat the survey or do a study to see what the ratios would be for people who wear extra-wide or extra-narrow sizes. Why do I say this? Because my feet are EEE width and I used to know a woman whose feet were AAA! Even though the length of our feet didn’t differ much, one of her shoes was almost half the width of one of mine. That was extremely useful info. Thanks! Fun idea for socks, hope I win! Wow, what a lot of work went into that project! Thanks so much! Excellent – the survey approach and the data explanation and charts are very useful as well as interesting. Thank you for your endeavor. Your data is very interesting. Thank you for taking the time to research this and share your results. Comment! 😉 Those socks are awesome, and so are the sock construction data. Thanks for compiling!! I’ve been eyeballing those since the pattern was released! Very interesting! I’ll refer back next pair I make! This is some very interesting information! OK to print it out for future reference??? Wow, I’d dearly love to have this yarn! I definitely have the pattern in my queue. This post is beyond valuable! It’s a winner, and I hope I am, too! Love the results of the survey and will definitely keep it in mind when I’m knitting socks! oooooooo! Pick me please! I couldn’t stop looking at that colorway/sock pattern! the colorway alone is worth it. The pattern is just bonus. Wow. What a great resource this post will be! Off to see how my own oddball feet measure up! Great article. Now I really need to measure my feet and send it in. In my toe up patters I find I have to decrease at the ankle to keep socks from sagging. Still not many other men winning these. Hey those are my feet in that survey (and my husbands) Surely that entitles me to win! Excellent article (I love data! ), thanks for putting it all together. Thanks also for the lovely giveaway. Hope I win it! I have the second sock in this pattern on my needles now. I was only able to find a sedate purple/black Zauerball and I really want the crazy colors! So, in the first table, the foot length is greater than the foot circumference, but in the second table, it is the opposite. I think I am not getting something here….. I bet there are a lot of tape measures being pulled out right now. No one is safe, except maybe the family dog. We all want to see how we and/or our loved ones measure up! Thanks for the research, from a wanna be designer! This will give me something to think about when knitting socks. Beautiful socks! I’ve always wanted some of the crazy Zauberball colours! Thank you for doing this research! This needs to be broadcast far and wide among pattern designers. Enjoyed the sock research! Thanks for the contest – the yarn looks lovely. I just wrote a comment and was informed that it was a duplicate comment??? Anyway, I said that the information was interesting to this sock knitter. Would love to win this contest. This is great info. I knit socks more than almost any other garment. I make most of them toe up so I can easily try them on and add calf increases when necessary because a 6 inch cuff is really short for me. Yes, sock sizes are a problem for me. Hope this helps! What a great article! Thank you for taking the time to research, analyze the results, and write it up in an intelligent easy to read story. That’s a lot of calculations…thanks. Ooooo I can’t wait to bone up my sock making skills! I love this. It’s so interesting to see it all broken down like that. 🙂 It will make me think more in the future with my socks! I definitely wish more sock patterns had increases (or decreases, for cuff-down patterns) in the leg! I hate that sock cuffs are always either baggy at the ankles or too tight at the calf. Wow, those socks make me happier just looking at them. And I love the scientific look at how to size socks! Phew – 7 minutes to spare! I’ve always just knitted what was written. Thank you so much for doing this research! This is a lot of information to ponder, and I’m sure it took a long time to compile. Thanks for the measurements and the chance for the yarn. Thank you so much for this! It will make Christmas knitting much easier this year! Thank you for this information! While I have learned to make socks that fit ME, I am always nervous about sizing for others. This really helps. So happy to see the results of the survey. Very interesting and will most certainly help me eliminate some of the hit or miss changes I make when knitting socks for my weird feet! What a great collection of dataðŸ‘£ I keep a little journal of foot info I gather as I knit socks for others. Love those fun and zany socks! Oooh, Zauberball! That would be so cool! As a knitter and a researcher/data person, I thank you! I’m bookmarking to refer to as I try to figure out sizing for other sock recipients. Interesting data, will be looking back when I need to knit some gift socks and can’t get all the measurements of the person’s foot. Exciting to see the results! Would love to try a sock! Thanks for putting all of this information together! I’ll definitely be saving this. I definitely have a knitting socks addiction from time to time 😉 So yeah: these skeins look wonderful and the pattern challenging! Cool results! I could not stop myself from going to measure my feet, and I do beleive they are weird, as my ankle circumference is larger than foot circumference. Weird! Anyway, great research, great rule of thumb for sizing socks when knitting. i have small feet and have had trouble with sock patterns occasionally, so great survey! and i love this sock pattern! Thank you for doing this. I love those socks and that yarn. What fun. The Zauberball yarn is really fun, I’d love to try this! Thanks for offering it. I love striped socks! what a fun that these are lengthwised striped – I must try them! Love Zauberball! Thanks for the sock information. never tried that yarn, nice socks. Very educational! I expect I’ll be looking at sock patterns in a whole new way from now on. Thanks! I was surprised to learn that there aren’t many with a thicker ankle measurement…I thought that was a common trait in the flat-footed. Or maybe it only works that way if you’re flat-footed and narrow. My ball of foot measures 7.5″ (the narrowest part of my foot just past the ball is a tiny bit over 7″), my ankle is 8″, and my overall foot length is 9″. Longitude is absolutely on my list of sock patterns I would like to try – hopefully this idea wont go the way of many others!! Thanks for the info. Socks that fit – what a concept! I love making socks. love those socks! great info! Really interesting article… People ask me all the time “Why would you bother to knit socks when you can buy them at Walmart?”. Obviously these people have never had a pair of socks that fit perfectly!!! What a lot of work! You’d make a good researcher!!! This information is GREAT! I appreciate all the work you do! that’s a fantastic load of information. Thanks! Will put your info to good use. Thank you. This is great information! It actually makes a lot more sense than a lot of the foot/sock sizing I’ve read other places. This was pretty fascinating, and the yarn look amazing! I was clearly an outlier with my size 12 woman’s foot, but it’s comforting to see my foot length on the chart. Thank you for the report. I’ll be keeping this with my sock-knitting notes. I’m very curious about socks knitted lengthwise! They are very cute and very bright in this yarn. Socks are my favorite item to knit. I participated in this, and I am excited to see the results! Thanks so much for doing this! I WANT THOSE SOCKS!!!! Seriously though, those are some of the coolest socks I’ve ever seen. Great info on the foot sizing data…thank you! Really love the socks. Please, may I have them. Thats a great chart, but looking at the numbers it does confirm that I have strange feet! Great info! I’ve always wanted to try Zauerball; would love to win! Kate – All I can say is Wow!!! You would make a great quantitative researcher. Have printed info for future reference. Great project and count me in on the contest! Thanks for making sense of foot size/measurement relationships.. I tend to overthink it a bit sometimes. Those socks are lurvely! Thanks for the sock info … and please enter me in the contest. Would love some Zauerball! As a math & data person (just look at my url! ), this post rocks my socks, pun intended!! Thank you! I am now happily recalculating cool socks for the men (think big feet) in my family: life beyond basics will be MUCH more fun now with some confidence socks will fit (and thankfully they’re adventurous and might even wear something like Longitudinals!) Gonna have to give it a try…. Wow, it’s great to see this data compiled, and it’s really interesting to think about. Glad I got to help with this. Thanks so much for the information! Also explains why socks you buy can be ‘your size’ and still not fit. Can’t wait to knit my next pair of socks and try this out. Excellent results from the data collected. Will be very useful in the future for sock knitting. Thank you for all the hard work, these charts are really handy! I will definetly be using them. Thanks for all the hard work. This will really help with all the charity knitting that I do. I love making socks! Interesting how our bodies are so proportional. Great study. I love Zauerball sock yarn. I just finished a pair of socks for my New Son in Law!! He can’t wait for cool weather to wear them. I am working on a pair of socks for my oldest son in this sock yarn also, he was upset I knit for my future son in law (at the time) before I knit him a pair!! Great information on foot/sock sizes. Terrific post! I will definitely be using the chart. Thanks for all the work on this project. Thank you for the interesting compilation. I am guessing that the foot sizes fell into a bell curve sort of distribution, so that the knitting patterns with only one size for socks really DO fit MOST! I heart Zauberball!! What a lovely giveaway following some very interesting food for thought about sock sizing!! And we always wondered why we had to learn math!! I always thought my feet were big clubs when measuring and discovering that all the measurements were so close to each other. Very interesting. Wow–what a wealth of data. Thanks! Such great information – thanks for getting it and sharing! And for the giveaway ;-). That’s a lot of information to transform into the perfect fitting socks. I’m not sure I would use all of it in one pair, but maybe adjustments where fit lacks most. Interesting, and helpful. But I do not want to measure feet 😉 Love the Longitudinal socks. Wow what an informative read. Thanks so much for all this new info to think on. Thank you so much for the very helpful information. I have to admit the math part is a bit scary. WIll be sure to save this for future reference. I’ve got thick ankles and fat calves, but I find that the type of sock yarn is most important to the fit rather than the pattern. My favorite sock yarn includes some cotton, but it’s no longer available. It doesn’t stretch out as the day goes on. I do love Zauberball’s colors. Great sock-sizing information! It will be most helpful. Thanks! Wow, the information on sizing is very useful. I am just starting to learn how to knit socks for the very reason that I have small feet and a hard time buying socks that fit. Thanks for the info! I used to think I had skinny ankles and fat calves. It’s good to know my feet are normal. I love seeing the results. Thanks for posting! Thanks for this – just in time, since I’m currently making a pair of knee high socks for a friend. Patterns that include high instep mods are the best. If they aren’t available, I make my own modifications. 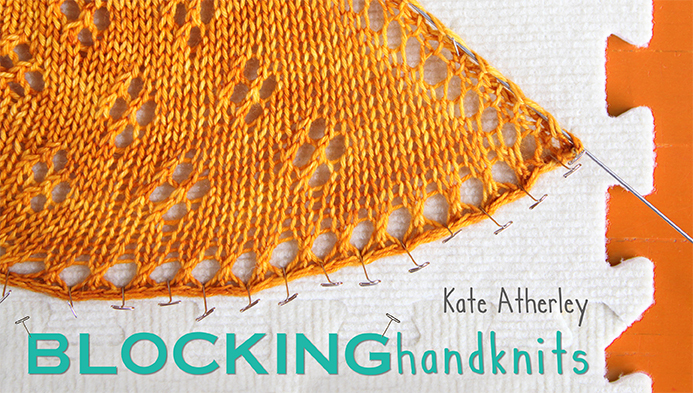 This was an excellent read for a sock knitter, thanks for the data. Also, love Zauberball. I’ve knitted a few pairs of socks and kind of crossed my fingers and hoped they would fit. This information will be so helpful. Thank you! Thank you for doing this research! I find that I really have to measure each person I’m knitting for and then adapt a pattern (or make my own, more frequently) to accommodate everyone’s differences. It was nice to see how the numbers relate to each other and how that information can be used to determine the other measurements. Nice! This is so interesting to me! I always thought my feet were odd for having the same circumference as length, now I feel much more “normal.” Also, I’d love to win the yarn. This pattern has been on my queue since the day it came out! I’m a research freak and I love the lengths you’ve gone to for data! And I love that this is all for socks. Please count me in for the super zauberball giveaway. Socks should definitely be sized! But luckily for me, my sister and I have the same size feet (although mine are wider and hers are longer, our socks fit each other the same), so I can try on socks I’m making for her to make sure they’ll fit. Fascinating information! I know I will refer back to this in the future. Very interesting. And I’m somewhat surprised about some of the results. My foot circumference is about 1 cm (0.4″) smaller than my foot lenght. And I have wide feet – I have to search for shoes wide enough. Most women shoes are to narrow for me. So I’m surprised that the average foot has smaller lenght than ball circumference. My problem is a very high instep. it makes it difficult to use most sock patterns that are lacy. What an informative article. This info will definitely help me in the design of socks. Thank you for the very useful measurement charts. And I would love some rainbow yarn to make some gorgeous stripy socks! love the colors of the yarn! Awesome chart and awesome yarn! Many thanks for this invaluable information. Thanks for this!! It will make knitting socks for friends so much easier! Great post! I’ll have fun comparing my measurements to your calculations, knowing that I have exceptionally short wide feet. Very interesting! I have found that so many designers just put out one-size socks. I have an 8.5″ circumference and 9″ length foot, fairly average on the small side, but I have a real problem with baggy socks, even though I always knit on 2 mm needles. And not all patterns are easily scaled down, especially complicated designs. I would like to see the designers do the scaling for me if I have paid for the pattern. Thank you for including the larger sizes! It’s helpful for those of us knitting for our loved one with giant trotters! I was directed this way by a sock knitting group I just joined on Ravelry. I measured my foot to see how I fit with the statistics. Very normal on circumference versus length correlation but abnormal in that my ankle is only 84% of my foot length/circumference. I have always found it odd that I could wrap my fingers around my tiny ankles! Interesting read – thanks for doing the research. This is marvelous data. I love knitting socks and want them to fit like a dream. The data you collected will definitely help with that! Hmmmm. Must reread when I am in sock mode. Otherwise, it’s seems more complicated than I know it is. And I don’t want to end up over-thinking my sock projects and being reluctant. But thanks for all of the calculations! Thank you for the sock sizing information, it will come in very handy. The yarn colors are so pretty. Wow. What a lot of data. I often want to make socks for family members or friends who live in other states and I can’t take zillions of measurements of them. So this is very helpful. I can get a length or circumference measurement and extrapolate the others from there. Thank you for doing this!!!! I love that color way!! This is great information for making socks for friends when you only have shoe size, and a fantastic giveaway! What a valuable tool–just wish I had seen this when you were collecting data. My ankle meas. is 1.5″ larger than foot circ.and 1″ more than foot length. Now I know what I have been doing wrong and why my socks don’t fit. I have “Peggy Hill” feet, so socks–storebought or handmade–are a major hassle: holes in the toes and way to stretchy on the arch. LOVE this info!!! Lover Zauberball; also love the logitudinal stripes! I used these measurments when making knee socks for my granddaughter. Very interesting. Yet another way Math has manged to sneak in my crafting! This is going to make it so much easier to knit socks for people on the other side of an ocean. Asking people for their foot length and working out the rough numbers will suit me fine! This sock table is extremely useful! I’m making a pair of ‘surprise’ socks for a friend’s boyfriend, who is avid about doing Civil War re-enactments. I’m making him hand-knitted socks using a period-accurate pattern. I have an idea of his foot length, but the rest has been pure guesswork. Your table will help me make the socks at least reasonably close in fit. THANKS! p.s. love the Longitudinal sock pattern, too! This is fascinating and good news! It fits with what I’d been assuming, but when I knit socks for other people who aren’t always available to try them on I always do ribbing, so I didn’t know for sure. What a mountain of great information – thanks! I’ve always got a pair of socks on the needles – it’s my favorite travel project! This will be most helpful! Thank you! I would love to try these socks! Thanks for all your work Kate. I have always been puzzled by sizing of socks and have had disappointing results in the past. What an informative post! I’ll have to bookmark it. Those are some lovely (!!) socks, thanks for the contest offering. Wow Zauberball looks really nice. Thanks so much for putting this together as we already knew all feet are not created equal, and that one size does not fit all. This information will be so helpfull for my next pair of socks. I’m curious, though – you report the average, but what kind of spread did you get on the numbers – particularly the foot circumference to length ratio? WOW – what an interesting post! Thanks for the info, and that yarn and sock combo is awesome! Interesting read! I’ve always wanted to try Zauberball, too. I always wanted to try a Zauberball project! I have never knit with Zauberball! What an increadible amount of number crunching! I have printed off the tables and will use the information a lot. In fact, I made the data tables my own files so I can print them again, and again, and again. Thanks for this! Zauberball yarn is tops! Fascinating information. Thank you so much. Now to see if I can unpack my topsy-turvy house enough to find a tape measure and see where I come in your range. What wonderful socks! Thanks for collecting all the data. I’m trying to find time in the middle of my first month as an MD to go buy some yarn for these socks, so if I win it would be a big help! Aren’t socks fascinating. Sizing my first pair of knee socks has been some work. And yes, I’d love to try the Zauberball. Lots of good information in this article. Glad I was able to participate in the survey. Interesting! Although my feet fall outside the circumference/length correlation (length is more than circumference) – someone has to be outside the average. I agree sizing on patterns is very very useful! I’ve been wanting to knit with Zauerball. Maybe I’ll win! Thanks for gathering sock data. I’ll definitely spend some time studying your post. This was such a good idea. Thanks so much for the info. This is so interesting, and useful. Thank you for putting all this data together. I’m bookmarking the page for future reference. Am I the only one who reads “Zauberball” as “Sourball”, like the candy? Love their colors! I LOVE data like this! And Zauberball. Thanks for researching sock sizing! This is fantastic! I love seeing trends in data.. this will save a ton of measurement time. Thank you! What a fantastic data collection and survey. As a future designer, it’s great information to have, as well as to confirm some of my unvoiced suspicions about my own feet. Those socks are great! I would love to make them! fascinating post! This info may be very useful to me in the future. Thanks! So cool and exactly what I needed right now. Wow, what amazing information! Thanks putting it all together, Kate! I never made socks before. But I want to soon. Thanks for these helpful charts. Gorgeous yarn! Thanks for all the sock data! You know, I’ve never made socks. Maybe this can be a wake-up call! Great information. This will be useful in my future sock knitting. Thanks for access to your research, and the opportunity it win such snazzy sock yarn! Oooh…pretty! I would love to knit me some sideways rainbow socks! This was very informative and interesting. I’m actually just getting into sock knitting. Thanks for the contest! I love socks, and the Zauberball! Thanks for the opportunity! …yes I am a “card carrying” statistician. Bet you didn’t need me to tell you that! I would love to win the yarn and make the Longitudinal socks, they are beautiful! Love the pattern and the Zauberball! Thanks so much for the foot size survey – very interesting data. And yes, I love Zauberball sock yarn, too! Thank you for compiling all of the foot measurement information. Very interesting and informative. Love the color of yarn in the pic and also I have fun wowing my knitting buddies. Interesting…my ankles are 10″, my feet are 9″ long, my arches are 9″, and the ball of my foot is 9″. Guess I’m the statistical outlier! No wonder I have such a hard time getting socks and shoes to fit! Do I get yarn as compensation? Making it in under the wire, but with 700 other respondents, I suspect someone else is going to win this wonderful prize. Congrats to the lucky winner! I’m printing these charts off right now! Good info…thanks! And, please…pick me! And that yarn looks awesome. I love the yarn. Thanks as well for posting the survey results, as an avid sock knitter they are fascinating! How cool is that!!! Will be very helpful! I know that sock pattern is in my favs – so different – just have to knit them up! 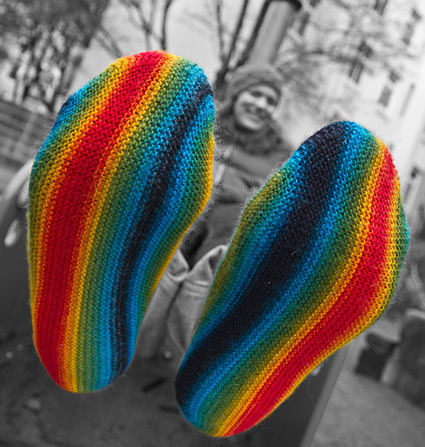 I would love to knit a pair (or two) of rainbow socks! This helps me understand why the heel was way too big on the last pair of socks I made. Would like to try with the Zauberball! I am just learning to knit socks. This seems like helpful information to have. Thanks! I would love this yarn, and these socks. And I think the yarn would make an awesome hat and mittens set too! 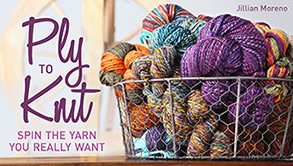 Oh, I’d love to try this yarnâ€”and that fun sock pattern, too! Now that I learned how to knit socks, this article was very helpful. I always wondered how socks are knitted and sized to fit!! Finding Knitty Magazine was like a winning a lottery. I love data crunching stuff like this, I’m resisting the urge to whip off my shoe and measure my foot in the middle of the office to check if my feet fit the data trends. Very interesting! As someone with big ol’ feet, I find the “one size fits most” patterns to be INFURIATING. As I am never “most” 🙁 I hope that this will help to convince some sock designers to offer more options for sizing. If that doesn’t, then maybe this: I won’t buy sock patterns with only one size! I’m bookmarking this for when I need to make gift socks and only have limited information on sizes! Great information! I’d love to win the Zauberball. I have to go revisit my measurements now to see if I’m part of “the norm”. Hooray for this project and the intended outcome> better fitting socks. Interesting information to have. You never know what you’re going to get when you knit those “one size fits all” patterns. I can usually find someone who can fit their foot in them! Love the name of the yarn it not only sounds fun but looks very fun. Love this sock pattern and the colors! It is always good to have another foot measurement chart in the portfolio. I sent data for my own feet and my husband’s… glad to see it was put to good use! Those are in my favorites, I’d love to win! Love socks, sizing has always been an issue when making them for others. This will help! I definitely need gussets in my socks. And I would love to win the longitudinal kit—I could continue my odd construction sock knitting, since I’m working on skew! I love this article! I’ve been looking for information like this & couldn’t find any, until now. Thank you!!! I was wondering what had ever come of the survey!! I love the look of zauberball!! Interesting, ring size usually correlates to shoe size. ooh, interesting information… And pretty socks! I’ll be bookmarking this page! And I love these socks; they’re next on my list…. 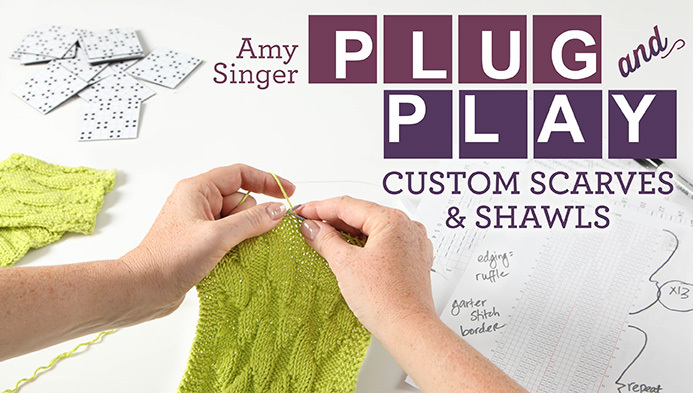 What a great incentive to try out this fun project! Pick me! Pick me! Crumbs! Never realised there were all those correlations. Now I’m going to have to boot the desktop PC, print off the tables (and possibly all the rest…) and measure my own feet.